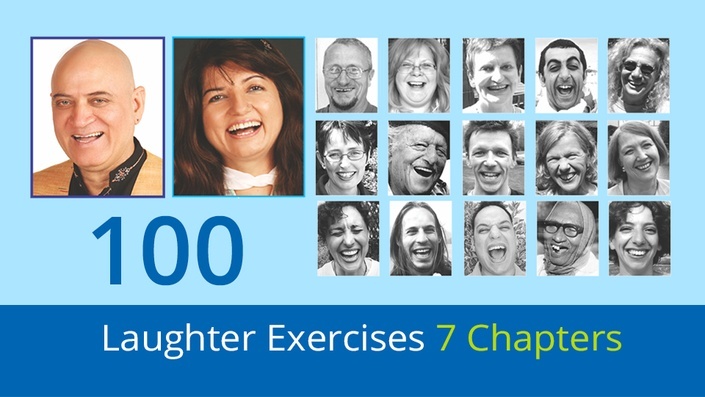 These are selected 100 Laughter Yoga exercises to help LY teachers make their laughter sessions more effective. Watch Dr. K’s description of each exercise. This is a collection of most popular Laughter Yoga exercises from the vast repertoire of Dr. Kataria's years of experience and understanding of the concept. It is an effective blend of yogic, playful and value based exercises which will keep your exercise routine full of dynamism and energy. Dr. Kataria's powerful description of each exercise coupled with captivating visuals from different laughter clubs round the world makes this DVD a must for laughter professionals who can also use it as a great give away for leaders and laughter members.